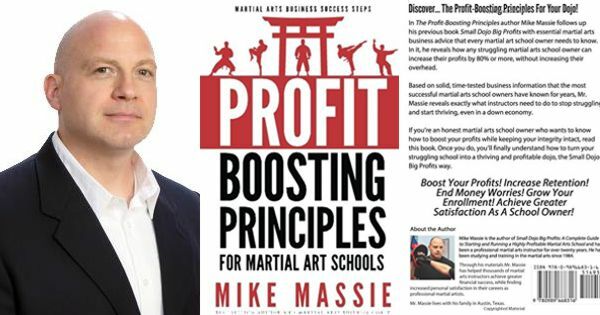 In The Profit-Boosting Principles author Mike Massie follows up his previous book “Small Dojo Big Profits” with essential martial arts business advice that every martial art school owner needs to know. In it, he reveals how any struggling martial arts school owner can increase their profits by 80% or more, without increasing their overhead. 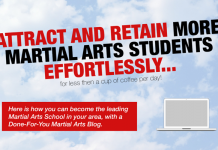 Based on solid, time-tested business information that the most successful martial arts school owners have known for years, Mr. Massie reveals exactly what instructors need to do to stop struggling and start thriving, even in a down economy. If you’re an honest martial arts school owner who wants to know how to boost your profits while keeping your integrity intact, read this book. Once you do, you’ll finally understand how to turn your struggling school into a thriving and profitable dojo, the Small Dojo Big Profits way. 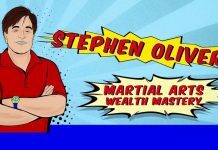 Mike Massie is the author of “Small Dojo Big Profits: A Complete Guide to Starting and Running a Highly Profitable Martial Arts School” and has been a professional martial arts instructor for over twenty years. He has been studying and training in the martial arts since 1984. Through his materials, including his manuals, articles, websites, blog, and newsletter, Mr. Massie has helped thousands of martial arts instructors achieve greater financial success, while finding increased personal satisfaction in their careers as professional martial artists. Mr. Massie lives with his family in Austin, Texas. 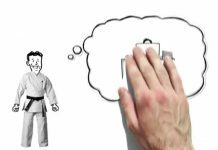 Mike Massie is the author of “Small Dojo Big Profits – A Complete Guide to Creating Martial Arts Business Success” and has been a professional martial arts instructor for over twenty years. Mr. Massie holds dan ranks in several martial arts, and has been studying and training in the martial arts for three decades. Mr. Massie graduated from St. Edward’s University in 2004 with a Bachelor’s degree in Allied Health Science and a Minor in Business Administration. He is the creator of Fighting Fit Boot Camp and the Self Defense Black Belt Program. He is also a certified personal fitness trainer with the National Exercise and Sports Trainers Association (lifetime) and a certified kettlebell coach. Through his materials, including his manuals, articles, websites, blog, and newsletter, Mr. Massie has helped hundreds of martial arts instructors achieve greater financial success, while finding increased personal satisfaction in their careers as professional martial artists.